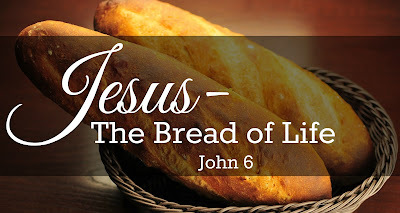 Jesus said, ‘The bread of God is that which comes down from heaven and gives life to the world. They said to him, “Sir, give us this bread always.”’ (John 6:33-34). The story of the miracle of the feeding of the five thousands we have read last week set the scene for our study of John 6 were Jesus reveals himself as the Bread of Life. For those fed by Jesus in this extraordinary way it must have been a truly incredible experience which resounded full of echoes from their Jewish religious past; in a secluded place, away from the rest of civilization and from food sources, there Jesus fed those who were with him; likewise Moses with his prayers entreated God to provide the manna, the first bread from heaven described in our first reading. This parallel between Jesus and Moses must have been pretty clear to the thousands gathered around the Lord, so it is little wander that these, after having had their fill, chased after Jesus in order to ‘make him king’ (6:15) – though a puppet-king who would supply to their every need. Today, the gospel reading carries on this idea as we encounter a group of people from those who had been fed by Jesus. They manage to find him and to speak to him about the miracle he had performed. They are still chasing after him, but still for the wrong reasons. They are not interested in Jesus per se or in what he has to say; they are only interested in what he can do for them. They are selfish sceptics and their conversation with Jesus is just an attempt to convince him to continue to provide for their every whim, rather than some lofty theological discussion. Jesus knows this, and he shifts the focus of the conversation away from the miracle he performed earlier. So, Jesus draws a distinction between the manna Israel received in the desert and another type of bread, the bread from heaven, the bread from God. Whilst it is clear from our readings that both of these breads came down from heaven, Jesus affirms that only one of these is the ‘true bread’ (6:32). The manna responded to the immediate need of the people, but it also provided them with a foretaste of what was to come when the true bread of heaven was to be revealed. This true bread would give life to all in the world, rather than just to the Israelites in the wilderness or to the five thousands. 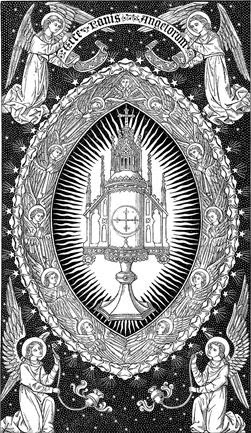 Even more still, this true bread would nourish with the life of heaven, rather than just supply to physical hunger. However, it is clear that the people do not understand, they are not willing to understand. In fact, if we look at our reading a little more closely, we may be able to detect a little sarcastic irony from John; as Jesus talks about the Bread of God, the people quickly reply to him, “Sir, give us this bread always” (6:34), because they literally think that receiving the Bread of God would grant them a physical life without hunger. Jesus is talking about the greatest gift of God to the world but they just want more food. 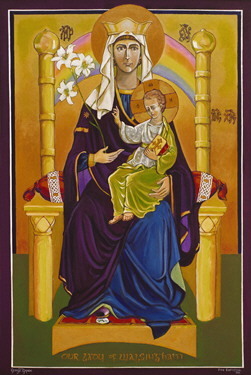 “Sir, give us this bread always” is not a faithful response; these are the words of those who misunderstand Jesus and expect him to perform another miracle, and we can see this in the words that they use – they address Jesus as “Sir” (not “Lord” or other) and they ask him for bread, when it is clear that it is the Father who provides the bread. Like their ancestors in the wilderness, the people of John 6 are sceptics who cannot look beyond their cravings. The gift of the true Bread of Life, comes to us in the sacrament of the Eucharist, yet, many people in the history of the Church, have belittled this gift just as much as the people in John 6 did. Many, not wanting to believe, have turned away from it – and a few have even taken an actual loathing dislike for it. 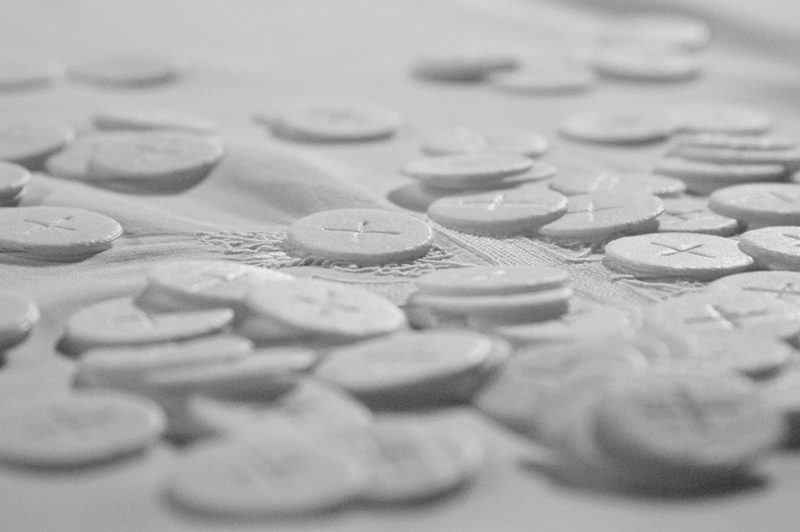 Still, as Jesus says, he is the bread of life (6:35) broken and offered for the life of the world, so today as we approach the altar rail to receive him, let us pray the Father to remove from us the selfish scepticism of those who questioned Jesus and to grant us faith so as to recognise his Son in the sacrament.